This Tuesday, June 12, 2018, file photo shows the Uber app on a phone in New York. Uber's head of human resources resigned Tuesday reportedly after a probe into how she had handled racial discrimination allegations at the company, marking the latest departure of a high level executive there. 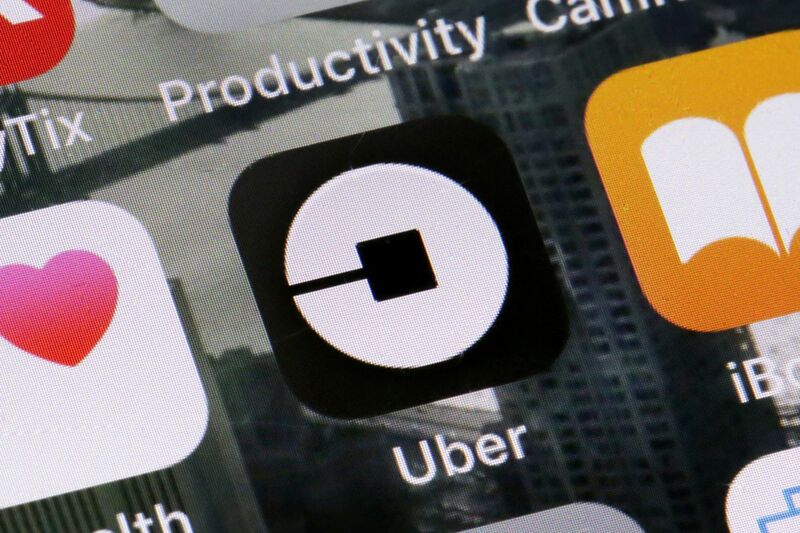 Uber launched an internal investigation after anonymous whistleblowers claimed that Liane Hornsey, the company's chief people officer, had systematically dismissed allegations of racial discrimination, Reuters first reported, which led to her resignation. Hornsey and chief executive Dara Khosrowshahi made no mention of the investigation's finding in emails to staff about the resignation, obtained by The Washington Post. " I know this comes a little out of the blue for some of you, but I have been thinking about this for a while," Hornsey said. She thanked her colleagues and expressed pride for "our shared ethic of doing what's right for our employees." Khosrowshahi praised Hornsey in a separate email, writing "she's accomplished a lot," and describing her as " incredibly talented, creative, and hard-working. She's been a valuable member of my leadership team." Hornsey began at Uber in 2017, weeks before engineer Susan Fowler published her explosive memo about harassment and discrimination at the ride-sharing company. She joined Uber from SoftBank, and had previously worked in human resources at Google. Her tenure was immediately consumed by the fallout from Fowler's allegations, revamping the ride-sharing giant's culture and implementing the 47 recommendations made by former U.S. Attorney General Eric Holder after an internal investigation. Last October, Hornsey spoke with the Wall Street Journal, saying the company was making progress on most of the recommendations but also describing the difficulty in finding enough diverse candidates in engineering. She said the company had implemented practices like earlier dinner hours and part-time working, as well as held 200 listening sessions with employees, added women and diversity and inclusion experts to interview panels when hiring engineers, and moved recruiters to seek out diversity candidates. She also recalled that in her first meeting with Khosrowshahi, his last question was "Liane, how are you taking diversity seriously? How does the organization know you're taking diversity seriously? What are you doing for women, specifically?" But she also noted that it was "bloody hard" to implement the Rooney Rule – a hiring approach that mandates employers interview at least one woman or underrepresented minority for certain positions – for engineering jobs. And while she said she had thanked Fowler publicly, she said "I don't know whether there would be any benefit in meeting her." That sparked several reactions from Fowler on Twitter, who wrote that "she really, really doesn't like me." The resignation follows several high-profile exits at Uber. The executive charged with repairing the company's morale, Bozoma Saint John, left the company last month after serving for only one year. She was brought on after a tumultuous year of scandals at Uber that eventually led to the ouster co-founder and chief executive Travis Kalanick. The company's head of finance and top lawyer were among the officials that resigned last year.